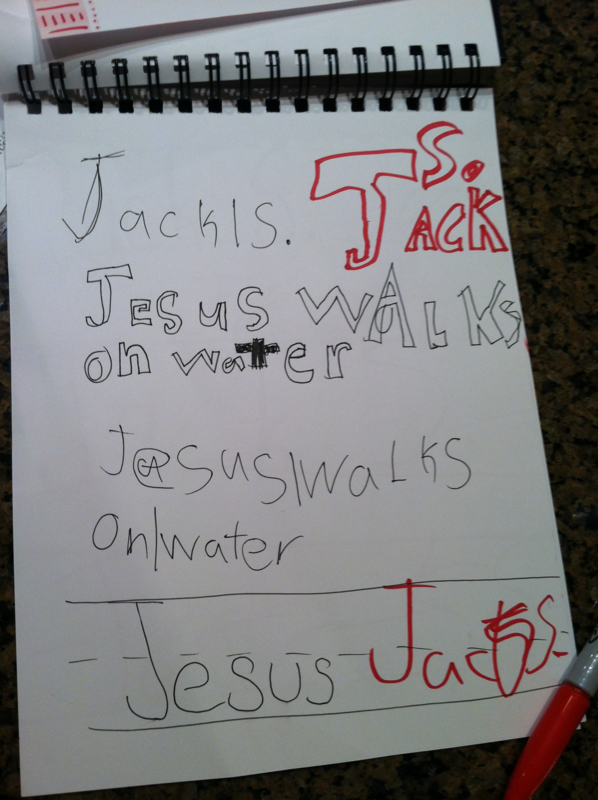 Six-year-old Jack wrote this while patiently waiting for his mom, Suzy, to make dinner. Moms are miracle workers, but this still seems a bit unfair. Posted on June 26, 2012, in Miscellaneous and tagged funny kids writing, Humor, kid writing, kids writing about Jesus, Stuff Kids Write. Bookmark the permalink. 1 Comment. Haha love this! Come check out my blog! Mcnuggetting!